A 5 minutes’ downhill walk (500m) from the chalet leads to a bridge where skiers can join the blue Plein Sud piste, ski through the resort and link with ease into the rest of the ski area. The free and regular resort shuttle bus stops only 400m away with buses every 20 minutes for the additional convenience of guests. At 2300m, Val Thorens is the highest ski resort in Europe, meaning the resort has a great snow record. Put simply, if there's no snow in Val Thorens then there's no snow anywhere! Forming part of the 600km Three Valleys ski domain, Val Thorens' extended skiing is excellent, with intermediates being particularly spoilt for choice. Advanced skiers also have plenty to play on with big moguls and access to the Maurienne Valley for off-piste adventures. In addition there's an excellent Snowpark to keep freestylers busy. Beginners too can enjoy Val Thorens with several gentle greens and easy blues scattered around the resort. There is no better all-around ski area anywhere in Europe, possibly the World. 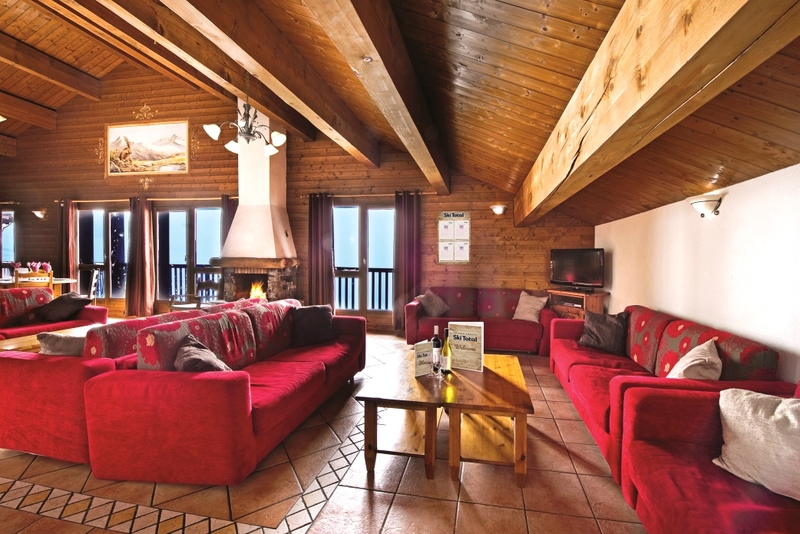 As the resort is traffic-free and purpose-built, most accommodation options offer ski-in-ski-out accessibility. As well as being Europe's highest resort and part of the biggest linked ski area, Val Thorens has gained a reputation in recent years as a lively apres ski destination. The arrival of the raucous Folie Douce and the slightly more chilled Bar 360 mean that your apres ski party begins on the slopes in mid-afternoon. Back in resort you've got a choice of several bustling pubs, including Europe's highest in the Frog and Roastbeef. If you're still thirsty for more then the Alps' biggest underground nightclub, Malaysia, stays open almost until first lifts in the morning! It's not all partying though. Val Thorens has developed many facilties over the years, including an indoor leisure centre with pool, extensive shopping, ice-driving, the list goes on!